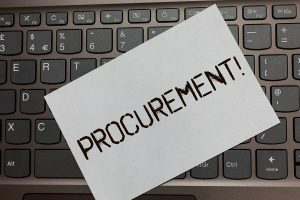 As we've written here, the contracting and procurement market is at an interesting crossroads. The current workforce is aging and retiring making it difficult to find and train incoming talent. Additionally, new technologies such as AI and blockchain are being introduced and changing daily workflow. Now more than ever, the contracting community needs ways to keep the workforce trained on tried and true processes of this profession as well as get up to speed on emerging technologies and tactics. Luckily, an organization exists to do just this. 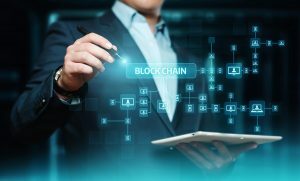 Blockchain is a complex technology that aims to streamline repetitive, data-intensive tasks. It has become more than a hot buzzword in government IT circles, it is already being put into practice. One way to think of blockchain is as a database that is jointly managed by a distributed set of participants. Adding data requires the "sign off" of everyone in the chain, verifying that the transaction is legitimate. Because of this interconnectedness, it is inherently secure. Every piece is linked to another, changing one piece will impact the rest of the chain (just like that one bulb going out on your Christmas lights) alerting all owners to an issue. For those of us in the government market, October is the time to break out the Happy New Year noisemakers and celebrate the new government fiscal year (GFY). Each August and September is a frantic race for agencies to spend their remaining budget, which poses opportunity but a lot of hard work for the vendors that want to earn some of this end-of-year shopping spree money. In recent years, the turning of the new fiscal year has also meant uncertainty. From shut downs to continuing resolutions, the switch from one year to the next has not been as smooth as flipping a calendar page. The Modernizing Government Technology (MGT) Act was passed in late 2017 as part of the National Defense Authorization Act. MGT creates working capital funds for IT projects that will "improve service delivery to the public, secure sensitive systems and data, and save taxpayer dollars." This $228 million fund allows agencies to borrow money to transition to new technologies. It can also serve as the start-up for working capital funds for ongoing IT projects. Agencies must submit proposals to an interagency board in order to receive money from the general fund. This Technology Modernization Board will be responsible for approving certain projects and making funding recommendations to the General Services Administration, which administers the funds. This money is intended to fund critical efforts including replacing infrastructure and applications that pose a high cybersecurity risk, legacy systems that are costly to operate, and IT that can support citizen service goals as laid out in the President's Management Agenda. The goal of MGT is to jump start projects that will generate future savings for agencies, but repayment is not contingent upon agencies actually seeing those savings, the loan must be repaid regardless of project results or savings. MGT is really a proof of concept, or a new way of funding IT within government. As OMB and GSA work to provide guidance and administer the funds, agencies are looking for ways to present their projects in the best light to not only receive funding but also achieve efficiency goals. 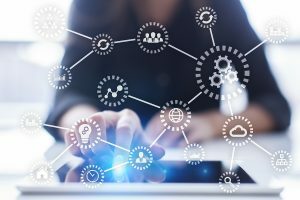 Luckily, there are a number of events where agencies can share modernization experiences and best practices as well as discuss how best to use MGT funds. Here are a few events that will focus on modernization as a key goal within government. Defense Systems Summit (July 11; Arlington, VA) - With a theme of IT Everywhere: Technology's Role in Tomorrow's Military, this 1105 Media event will bring together the DoD community to discuss how IT teams manage operations by maintaining legacy systems alongside emerging technology. With a focus on weaving in modern technologies, the event will include discussion on AI, defense cyber tools, IoT, and more. Beyond Telework. IT Modernization Strategies for Competing in the Full Employment Era (July 24; Washington, DC) - This event is focused on how the federal government can compete to secure the best and brightest talent. 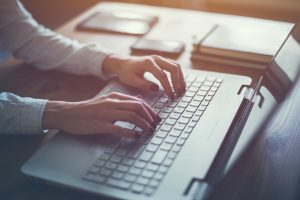 With enthusiasm for teleworking tempering within government (and it being so widely used in the private sector), agencies need to look to other IT modernization strategies to create a flexible, next-gen workplace. Cyber Excellence: Modern, Secure, Resilient (August 2; Washington. DC) - Looking at modernization through the reality of MGT funding, this event looks to explain how to use the guidance and funding coming from the executive branch to accelerate progress. Discussion will focus on key cyber strategies that will improve security postures today while paving the road to a more dynamic, high performance government. IT Modernization Conference @930gov (August 28; Washington, DC) - This event will look at the current state of the Executive Office's 'Comprehensive Plan for Reforming the Federal Government' initiative and address what lies ahead for FY'19 and beyond. Sessions will address the strategies, tactics and policies around the modernization efforts. 2018 Public Sector Innovation Summit (December 4; Washington, DC) - Attendees will explore how technology-driven innovation is advancing government. Top technology innovators and influencers across the public and private sectors will converge to discuss what's shaping the future of digital government. We'd love to hear from you. Where are you learning about how best to apply for and use MGT funds? Share your thoughts in the comments.